Research outfit 451 has run a survey that should get the pulses of on-premises IT suppliers beating faster. 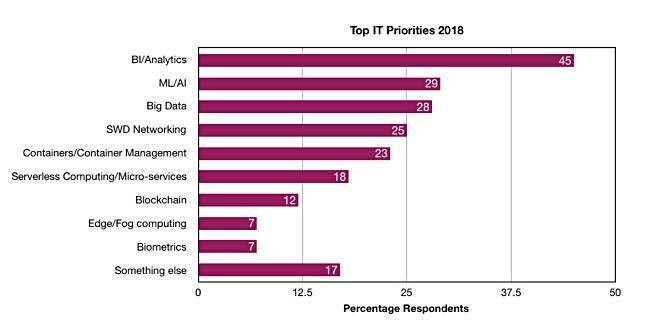 The standout finding was that 60 per cent of the surveyed enterprises say they will run the majority of their IT outside the confines of enterprise data centres by the end of 2019. Their IT is moving off premises to SaaS providers and the public cloud. Around a quarter were concerned with software-defined networks and a fifth were looking at containers and their management, with slightly fewer looking at serverless computing. Only 12 per cent of the respondents use machine learning/artificial intelligence today. The numbers concerned with blockchain and edge/fog Computing were peanuts at 7 per cent.